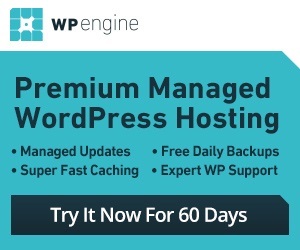 All WordPress webmasters have to deal with spam from time to time. As you as your website gets popular, people start coming to it to drop you garbage comments and spam links. 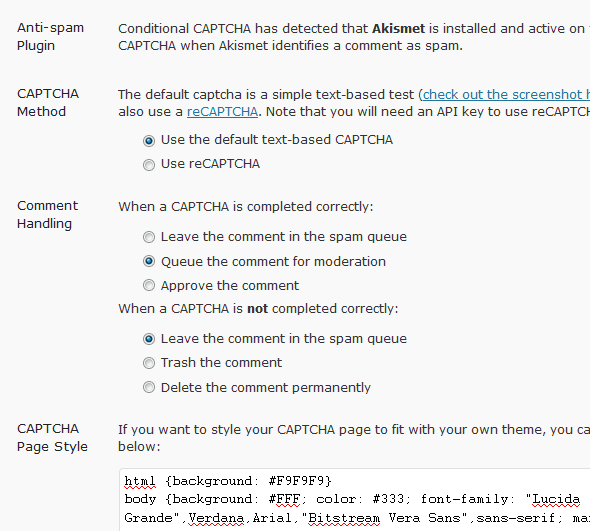 You can always use plugins such as Akismet to help you manage spam messages. But none of these spam solutions are perfect. Wouldn’t it be nice if you could add another layer of security to your site that could complement what Akismet offers? Conditional CAPTCHA for WordPress solves this problem. It works with top anti spam services and gives you a better chance to handle spam comments appropriately on your site. Conditional CAPTCHA shows CAPTCHA to those commenters who are suspected to be spammers (according to your anti-spam software). If they fail the test, their comments are automatically discarded. Here is the fun part. Those commenters that are deemed to be genuine won’t have to deal with this mess. This plugin has a lot of potential. At this point, it works with Akismet and TypePad AntiSpam. It can save you a lot of time managing your comments and can keep false positives to a minimum.